Château Margaux does not just borrow the name of its AOC, it represents it in the most beautiful way: by sublimating it! Indeed, with its blend of Cabernet Franc, Cabernet Sauvignon, Malbec, Merlot and Petit Verdot, Château Margaux makes, year after year, delicious and refined wines that have given it the rank of Premier Grand Cru Classé. 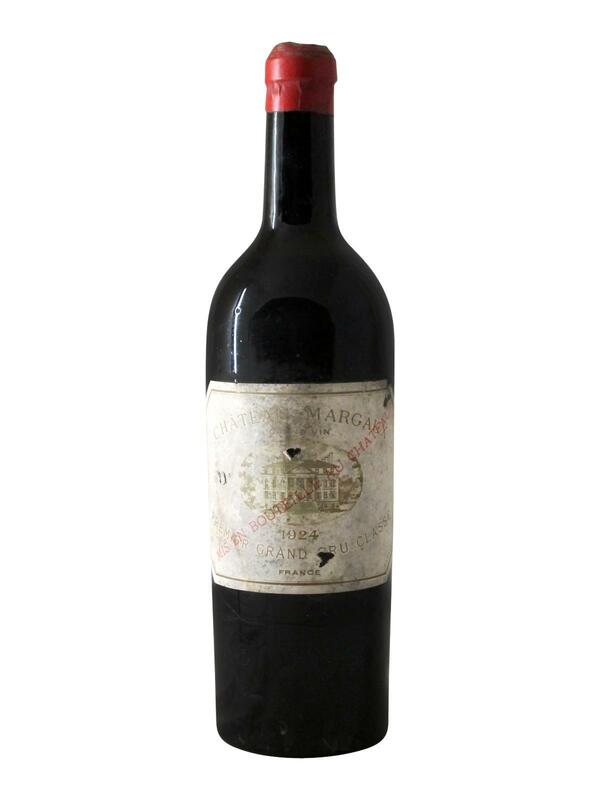 Château Margaux 1924 is already impressive for its very old age. At almost 100 years old, he manages the feat of being still interesting and complex to taste. It shows an extremely cloudy ruby red colour and distils a still pleasant nose of ancient woods, vegetal and roasted notes as well as subtle scents of black and red fruits. On the palate, Chateau Margaux 1924 is very pleasant to drink. Round and sweet, it has retained a surprisingly high sweetness. This Château Margaux 1924 is an experience in its own right!